Marketing is essential to any business, and there are many benefits that come from it. For starters, marketing strengthens brand awareness, educates customers, and impacts your bottom line. According to Sales Benchmark Index (SBI), marketing typically contributes 15-30% of revenue when it comes to net-new customers. The question is: How can you get the most out of marketing for your business? It all starts with creating a marketing plan. Think of a marketing plan as a detailed roadmap—a roadmap that outlines all the activities required to achieve your overall marketing objectives. If you’re a marketer, you know that there’s never a shortage of great ideas and things to do when it comes to marketing. With a marketing plan, you’ll be given a framework to help you and your team effectively prioritize work. What does a marketing plan look like and how do you build one? Below are eight steps to creating a successful marketing plan. Every strong marketing plan starts with setting a clear marketing strategy. You might be wondering, “What’s the difference between a marketing plan and a marketing strategy?” A marketing strategy informs the marketing plan, whereas a marketing plan outlines the types and timing of marketing activities. You’ll want to build your marketing plan around your marketing strategy. First, do I have the resources I need? Yes. The team has 15% more than the budget required and we’re fully staffed. To create a blog presence and increase the amount of web visits. To drive more web traffic and increase awareness through high quality blog content. VP of Sales working in the healthcare industry for companies with more than 10,000 employees. Main channel will be the blog. Supporting channels include the website, email, ads, and social media. Second quarter of the fiscal year (April 1-June 30). One of the most important things to do is identify your target audience. You need to know who you’re marketing to. If you’re having a hard time determining who exactly your target audience is, try the Bullseye targeting framework. The Bullseye makes it easy for you to determine who your target audience is by industry, geography, company size, psychographics, and more. Now that you’ve got your marketing strategy set, it’s time to define what your key marketing metrics will be. Your key metrics will help you measure and track the performance of your marketing activities. They’ll also help you understand how your efforts tie back to your larger objective. For example, if your primary goal is to increase marketing qualified leads (MQLs), then MQLs will be a key metric. You’ll want to ask yourself, “How many MQLs do I need to target to consider this marketing plan a success? How many MQLs do I expect each marketing activity to generate?” These are the types of questions you need to ask yourself when defining your key metrics. You want to know what the goal expectations are for your marketing plan before jumping in with both feet. It’s easy to get caught up in your company’s world. Take the time to step outside and into your competitors’ worlds. There’s a lot of value behind understanding your competitors. Knowing how your competitors are marketing themselves will help you find opportunities to make your company stand out. For example, make sure you’re not duplicating your competitors’ efforts. If you discover a competitor has already executed your idea to a T, then it might be time to go back to the drawing board and brainstorm new ways to differentiate yourself. You can learn their weaknesses and adjust your strategy accordingly, or see what angles they haven’t approached yet. By looking at your competitors, you might be surprised at the type of inspiration you’ll find. It’s important to determine which components above make the most sense to leverage in your marketing plan, but even more important to make sure they’re all integrated seamlessly. Avoid approaching each marketing activity as a separate project. Instead, tie all of your marketing activities together to deliver a cohesive experience. Let’s say, for example, your marketing plan revolves around delivering new positioning and messaging for your company. First, make sure your new messaging is communicated across every marketing component, whether it’s in the videos, ads, emails, and so on. Next, look for opportunities to integrate your efforts. For example, can you link to the press release in the email or embed the video in the blog post? These are the type of opportunities you want to capture in order to deliver an integrated marketing experience. Did you know that 32% of marketers say visual images are the most important form of content for their business? Having a clear brand and creative strategy is a huge part of every great marketing plan. When defining your creative strategy, think about your audience. Will your audience find your creative work relevant? If your audience can’t relate to your creative work, they won’t feel connected to the story you’re trying to tell. Think outside the box and find innovative ways to engage your audience, whether through video, animations, or interactive graphics. Know what screens you’re creative work will live on, whether desktop, mobile, or tablet and make sure they display beautifully across every type of device. It’s easy to get caught up in the creative process, so it’s important to never lose sight of what your intentions are: to get your audience to take action. Always find the best way to display strong Call to Actions (CTAs) in your creative work. We live in a visual world; make sure your creative counts. Once you’ve established a strong creative strategy, the next step is to bring your strategy to life in the production stage. It’s vital to set up a strong framework for your creative production process to eliminate any unnecessary back and forth and potential bottlenecks. 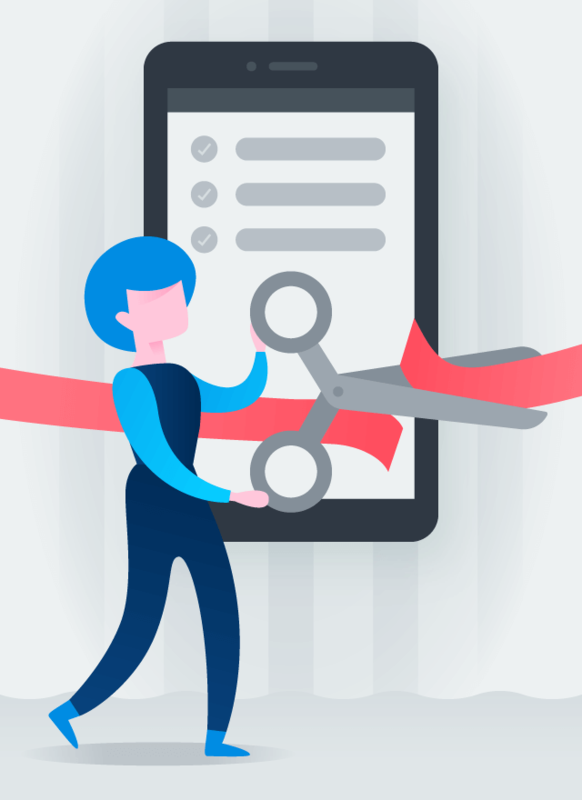 Consider establishing creative request forms, streamlining feedback and approval processes, and taking advantage of integrations that might make your designers’ lives easier. We’ve all been there. Teams have built well-thought-out plans that never see the light of day. Don’t let this scenario be you. Building a marketing plan requires a lot of attention and time; you need to make sure it doesn’t end up collecting dust on the shelf. This particular step is key: operationalize your plan. It’s important to get the gears moving on your marketing plan and move full speed ahead while momentum is strong. The first step to operationalizing your marketing plan is by housing its entirety in one place. A robust project management tool can help you accomplish this. With the right project management tool, you can map out major themes for the year and set time frames for every marketing activity. 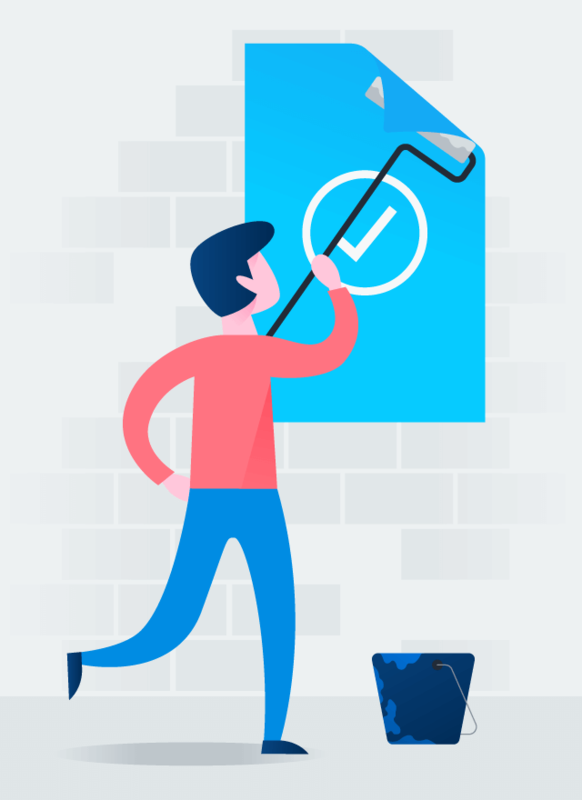 You’re able to mark major milestones and view your entire marketing plan according to your preference, whether it’s in a gantt chart, calendar, or kanban board view. The right tool also makes it easy to quickly loop in stakeholders so they’re always up to date on progress. This is extremely important if you have a global team to ensure efforts aren’t being duplicated. With everything housed in one spot, you can easily track your entire marketing plan and make sure you always have something lined up to talk to your market about. Building a marketing plan is one thing, but how you operationalize it can be your secret to standout marketing. Google: Leverage the G-suite (e.g., Google Docs, Google Calendar, and Gmail) to improve your everyday work experience. Asana: Every marketing plan benefits from an advanced work management tool, especially one made just for marketing and creative teams. Asana is the tool that helps you manage all your work and activity that happens before distribution, tracking, and optimization. Take advantage of Asana’s five new features and integrations designed to give your team an end-to-end solution to run the entire marketing and creative process. Slack: Participate in and stay on top of every conversation surrounding your marketing plan with Slack. The list doesn’t stop at the GAS stack. There are advanced tools that can assist you at every stage of your marketing plan, from analytics and reporting to marketing automation and lead nurturing. 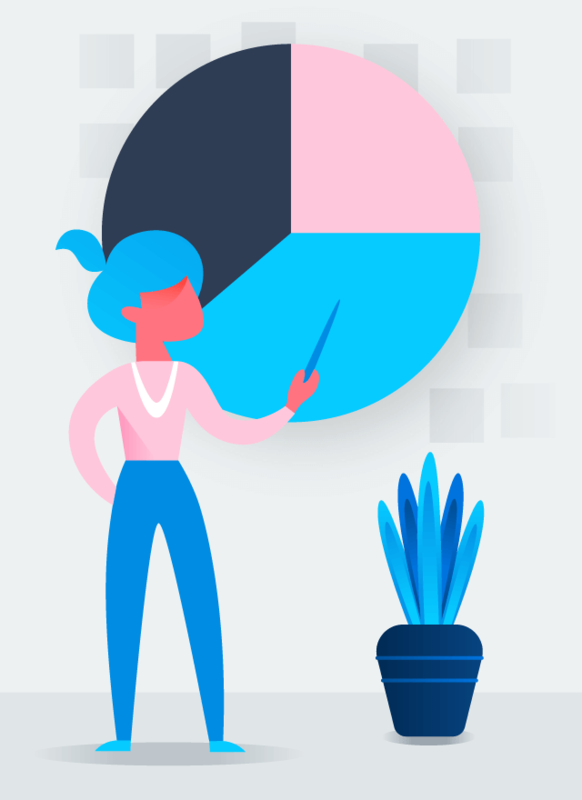 Marketers can now choose from nearly 7,000 tools, so you want to make sure you pick and choose the right amount and type of tools for your marketing plan. 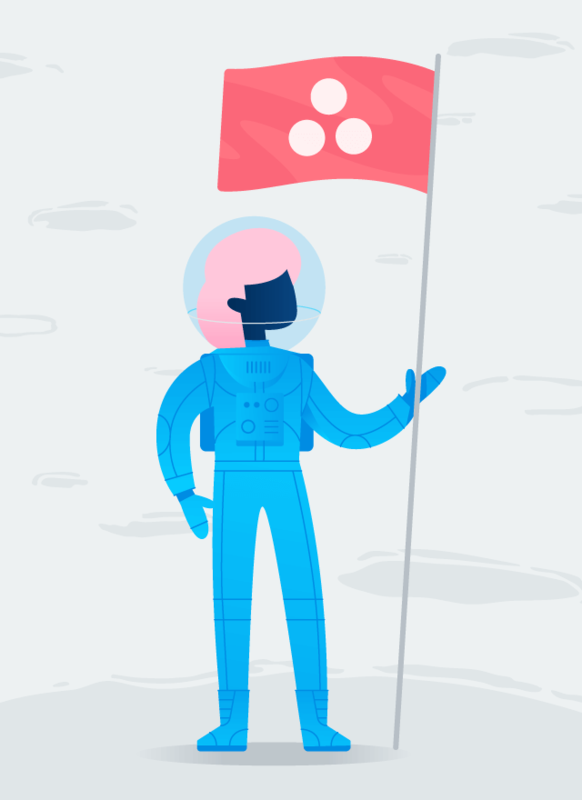 Start researching what’s out there and have fun building your tech stack. Given nearly 90% of marketers said improving their ability to track and analyze marketing efforts is a top priority, it comes as no surprise that measuring is a necessity. You established your key metrics in step two, and now it’s time to track and report on them in step eight. Periodically measure your marketing efforts to find areas of improvement and optimize in real-time. There are always lessons to be taught when looking at data. You can discover trends, as well as detect what initiatives performed well and what didn’t. You can apply these learnings to your next marketing plan for improved results. For example, if you discover long-form content is consistently bringing in 400% more pageviews than short-form content, you’ll want to focus on producing more long-form content in your next marketing plan. The best brands in the world are bringing their marketing plans to life. If you’re looking for some examples on how to execute your next marketing plan, check out success stories from other marketing teams. 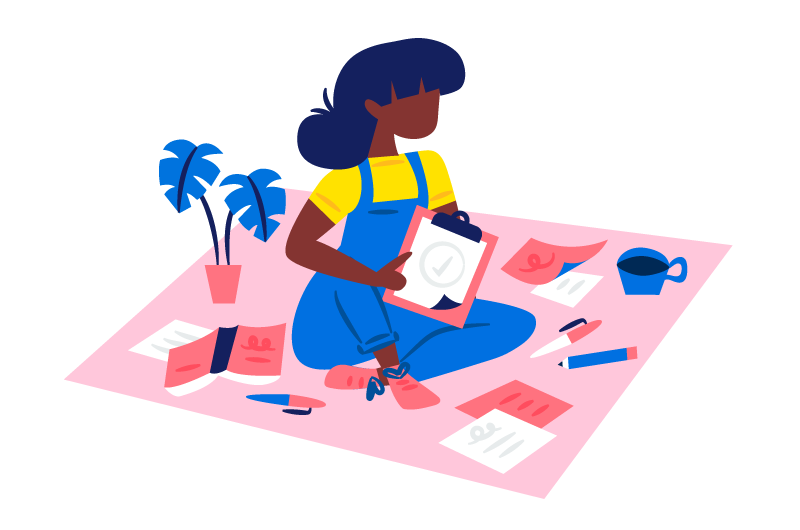 Invision, a digital design product design platform, helps teams at companies like Netflix, Amazon, and IBM build engaging customer experiences. The Invision team has been able to scale from 40 to 200 campaigns a quarter by building repeatable campaign workflows. They’re able to get a centralized view of every campaign plan and see where each piece of work stands. Learn more about Invision’s success story by reading the Invision case study or watching their webinar. Sophos is an enterprise cybersecurity company that keeps the networks of 100,000+ businesses across the globe secure with their encryption, endpoint, and security solutions. Each year, the corporate marketing team partners with field marketing to execute 12 partner conferences, 10 global trade shows, 150+ regional events, 500+ demand gen webinars, and hundreds of internal events. The Sophos team standardized their workflows to execute their event strategy faster. As a result, Sophos was able to complete 6,400 design and web-related event requests in 2018, a 50% increase in capacity while only increasing headcount by 5%. Learn how Sophos improved their processes, alignment, and events by reading the Sophos case study. Autodesk creates software that helps people imagine, design, and make a better world. The Autodesk team launched Redshift, its premier owned-media site, and scaled content production to support seven additional languages. By standardizing their content production workflow and centralizing all content conversations in one place, the editorial team is able to publish 2X more content monthly. Learn more about how Autodesk runs a well-oiled content machine by reading the Redshift by Autodesk case study. The marketing and creative production teams in the Legacy Recordings catalogue division at Sony Music are responsible for promoting 100+ years of music. With all creative production and approvals centralized in one project that’s connected to the campaign team’s calendar, creative needs and due dates are clear. By standardizing processes, the team has reduced campaign production time by 85%. Learn more about how Sony Music scaled their creative production process by reading the Sony Music Case Study. A great marketing plan strengthens team alignment, improves organization, and keeps all your marketing activities on track. Now that we’ve walked through how to develop a marketing plan together, we hope you feel better equipped for success. With our eight steps and free templates, you’re one step closer to creating your most successful marketing plan yet.